Our walk-in hours are Thursdays from Tuesdays - 9-noon and Thursdays - 1-5pm (Dr. Pettijohn, 3082 NHB), and Fridays 9:00 AM to 5:00 PM (Dr. Kanter, 3086 NHB). If you are unable to come in during these times, or if you'd like a guaranteed appointment, please schedule one by following the "Booking an appointment" steps below. Are you an Online SESE major and need an unusual time? 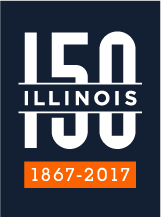 If so, contact Dr. Tomkin (tomkin@illinois.edu) to set up an appointment. Be sure to include your name, UIN, preferred meeting times, and preferred type of meeting: in-person (at 3086A CAB), over the phone (217 244-2928, or provide your phone number). Clicking on the above link will open a window as shown below. Click on the blue link that states "ESES On Campus Advising Appt. ", upon clicking on the link you'll see a calendar with dates available for the advisor of your choice. Please click a date to identify a time slot that works for your schedule and proceed with your appointment reservation. Note that your Name, Email and UIN are required fields. Look for an email confirmation. It's that simple. If for any reason and advisor needs to reschedule your appointment, they will send you an email notification, and then you can use this method to find another time.